Roll up, roll up, for the Mystery Tour, step right this way… and we did as we crossed Norton High Street to our Cleveland Transit double decker bus time machine in the company of our Time Lord for the tour, Martin Peagam. Our first stop was to Norton Road to what most people will have known as Hill’s but which was originally a flour and saw mill until it was bought by Thomas Hackworth and George Fossick and made into an engine works were they built steam locomotives, one being named ‘The Stockton’. They also built ships steam engines and eventually marine engineering became their main line of business. 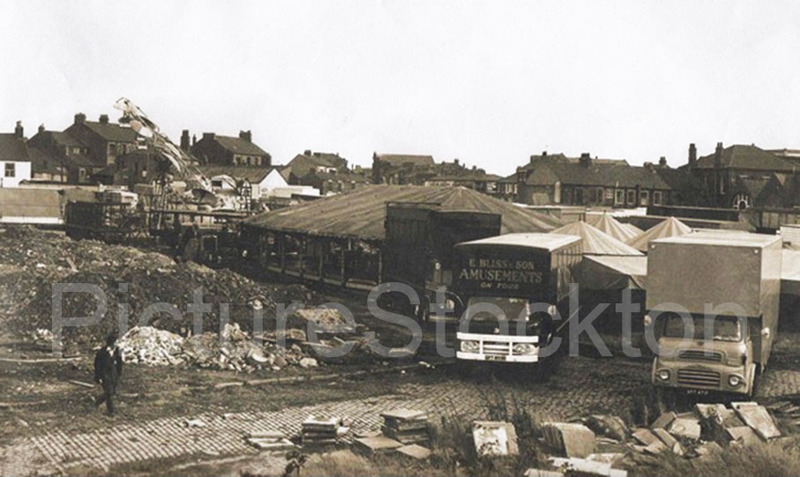 It then became Blair’s Engine Works and with Hill’s now long demolished it is now the site of a new housing development opposite the North Shore Academy, itself built on the site of the former Tilery Sports Centre. We went to Alberto Street next and heard the tale of a ‘lady of the night’ and her death in a boarding house which once stood there although the area is now a large car park and only the street name remains! The Daylight Bakery was our next stop and little did Ralph Spark and Sons know that some of Stockton’s greatest footballers would train and hone their dribbling skills under the floodlights at the front of this superb art-deco building . Apparently the bright lights at the front of the building would attract youngsters from around the area so that they could extend their playtime hours in near daylight all year round such was the brilliance of the lights but whether or not this accounts for the ‘Daylight’ title I’m not sure but it certainly was an illuminating tale! Mr Fossick got his second mention of the tour just a little bit further up the ring road at what is now known as the ‘Blue Bridge’ because simply put, it’s painted blue. 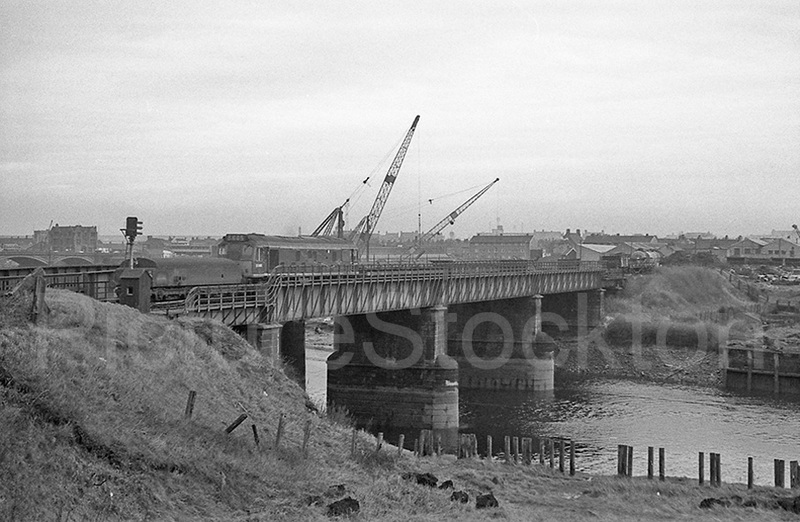 This new bridge was built to allow the then new ring road to go under the railway line but at the same time the original Fossick’s Bridge was filled in and buried under the railway embankment leaving no trace at all except for the road to nowhere which still remains Darlington Road while the ring road became the Ring Road or if you prefer, the A1027? Our next and last stop was to the site of the former Norton Iron Works on Calf Fallow Lane were the original ‘Big Ben’ bell was cast. Sadly though it’s not the Stockton bell which now rings out from the Houses Of Parliament today as our bell cracked when a larger than required clapper was used and a new bell was recast by another company. Perhaps that story chimes with you? On the way back to Norton the bus took a short detour through Stockton High Street and so fulfilled it’s mystery tour billing much to the amusement of both it’s passengers and the public it passed who rarely if ever these days see a double decker bus, not even a green Cleveland Transit one. Roll up for the Mystery Tour, roll up, satisfaction guaranteed…. and indeed it was. Photograph and details courtesy of David Thompson. 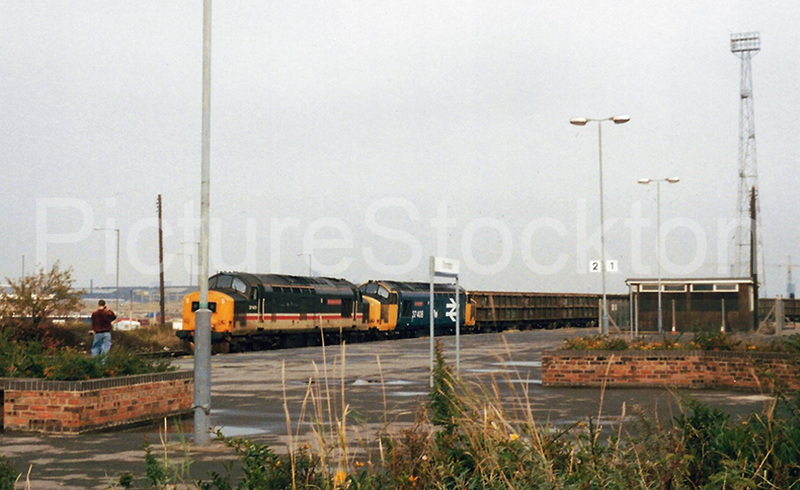 Here are two Class 37 diesel pulling what seem to be heavy gauge trucks that might carry iron ore, limestone or steel scrap, presumably on the way back from the Middlesbrough steelworks. Where were they headed, I wonder? The sheds of the Malleable steelworks, across the river, can be seen in the far distance. When I commuted to Grangetown in the early sixties, this view was blocked by the mountain of blast furnace slag that was dumped alongside the river. Photograph and details courtesy of Fred Starr. The Magical Mystery Bus Tour with Time Traveller Martin Peagam took us on a trip to the past.. We began with a visit to the site of the old Stockton Union Workhouse in Portrack Lane and ended with a walk along the original 1825 track-bed which runs through Preston Park, with many other stops in between. Norton Heritage Day: The next bus tour departs from Norton Library on Saturday 26 May at 1pm. Booking required. Call 01642 528019 for more information and to book. 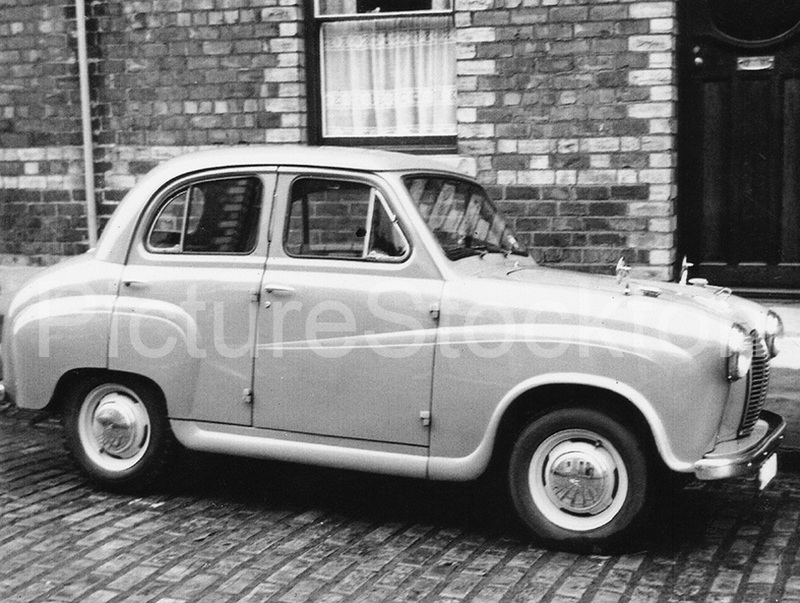 My first car – an Austin A30 parked in Chelmsford Street in Thornaby c1958. Who remembers their first car? Photograph and details courtesy of Philip Moore. 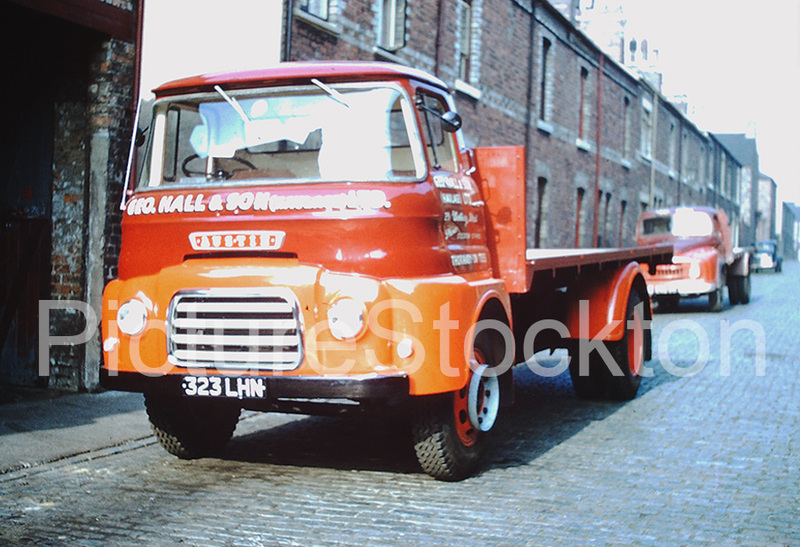 Pictures of G. Hall & Sons lorry after delivering coal in Chelmsford Street, Thornaby. The driver is Albert Hibbetson c1959. These three photos were taken at Teesside Airport in the early 1980s (approx 1983), I was going up on an aerial photo shoot and spotted this parked on the helipad, unfortunately I was using slide film and didn’t have enough frames to take any more, I believe the plane is a Junkers JU 52, obviously of German origin, quite what it was doing there I don’t have an idea, there may have been an airshow in the offing. The plane has a corrugated body and three engines and was stood in the front of the hanger where the flying club stored their planes, we were pushing a little two seater airplane out of the hanger when I spotted the Junkers and I just had to take some photos. Photograph and details courtesy of Bruce Coleman. To mark the 50th Anniversary of the formation of Teesside Municipal Transport, and the ‘creation’ of Teesside, Stagecoach North East held an open day at it’s Bridge Road Depot and invited the public along for a free day of family fun to help celebrate the occasion. There were guided tours of the depot, rides through the bus wash – in a bus obviously! and a display of classic and modern buses including a 1961 trolley bus which will be held in store locally before going to a new home at the Beamish Museum. Photographs and details courtesy of David Thompson. 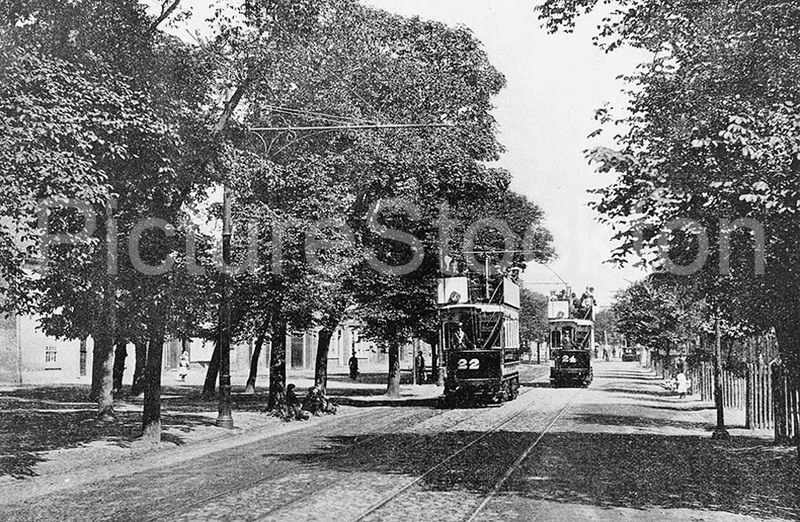 A view of electric trams No. 22 and 24, proceeding along a tree-lined Norton High Street c1900. 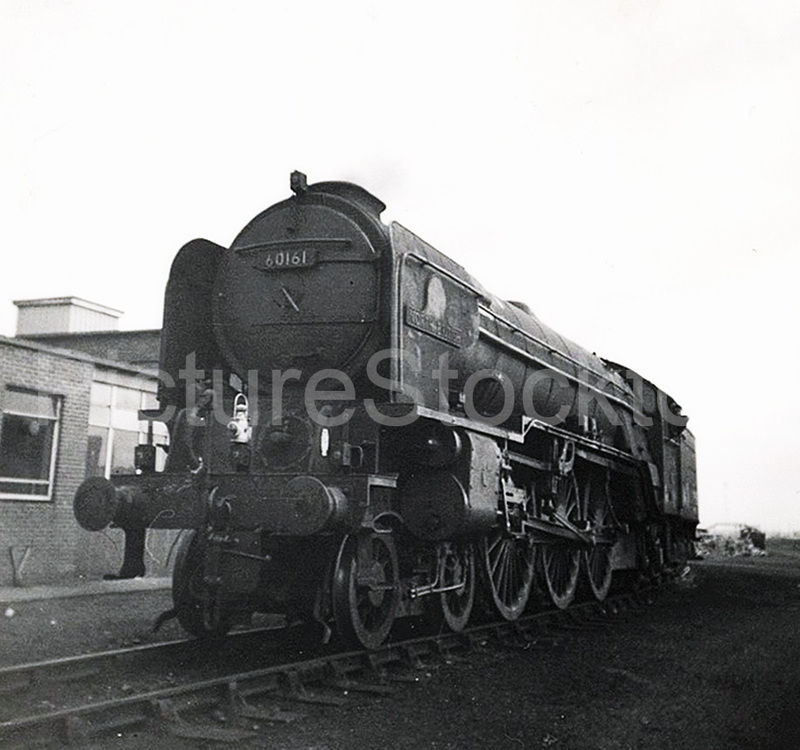 An A1 60161 ‘North British’ stands at 51L Thornaby Shed sometime between 1962-63. The photograph was taken by the late Desmond Fernihough who worked at the shed from 1960 -1963, if anyone knew of him can you get in touch? I worked at Head Wrightsons from 1949 to 1966. I took this photograph in the car park outside their main offices in Thornaby. 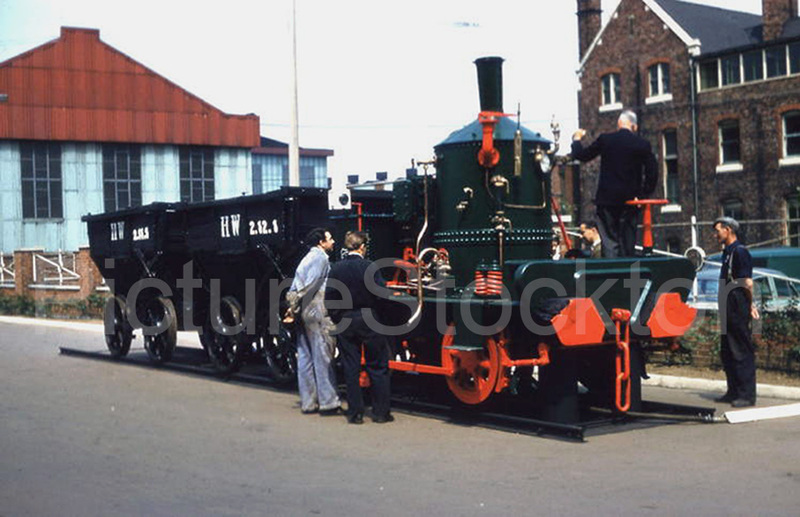 It shows a 1880s Works Locomotive and Trucks renovated by Bob Alexander Jr and Doug Ormston as part of their apprenticeship program in 1959. Three photographs showing the weigh cabin and coal cells at Billingham Station c1964. Photographs courtesy of Ivan Harrington. I believe that this rather odd machine was saved from Head Wrightsons, and is now at the back of Preston Park Museum. Can anyone explain what it was used for and what the various wheels and gears were supposed to be doing? Photographs and details courtesy of Fred Starr. A view of the Mandale Triangle Fairground c1977. Photograph and details courtesy of Angela Latif. The Mobile Library Bus known as the 4LA is pictured outside Billingham Library on Bedale Road. 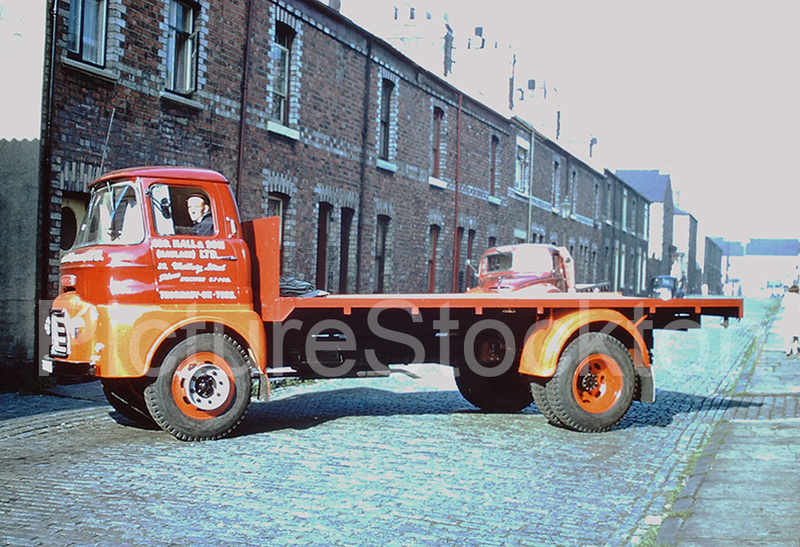 This bus was the smallest vechicle in the fleet and visited places such as Staithes. 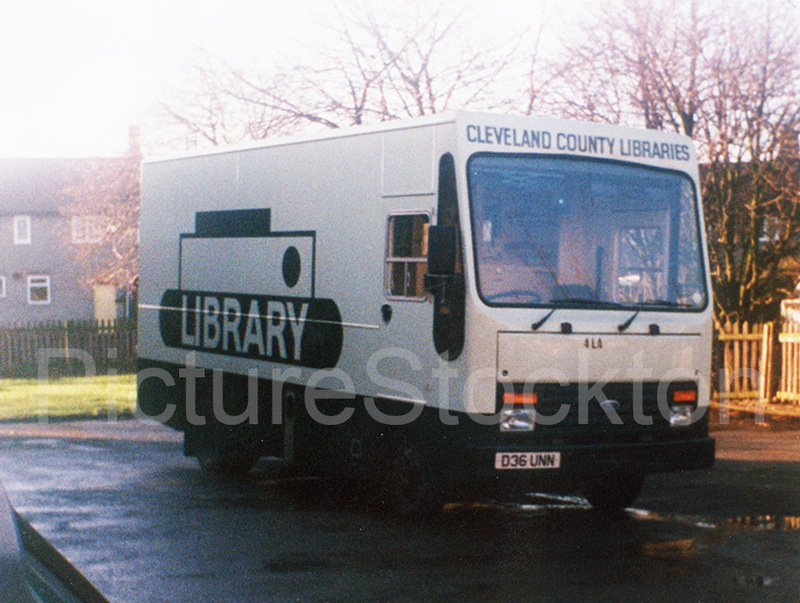 When Cleveland County Libraries became no more I believe the bus was used by Hartlepool Libraries. Photograph and details courtesy of Carolyn Evans. The ‘Poppy Truck’ was very impressive and travelled from it’s base near Hull to attend several events in the north east over Remembrance weekend. The wreath for Private Ernest Taylor of the Grenadier Guards had featured recently on Picture Stockton as had Major Edward Cooper VC whose wreath was laid by Neil Schneider on behalf of the Council. I have been following comments about the ‘Lost Thornaby Riverside‘ and unearthed a couple of photographs looking in the other direction. They are of trains crossing the railway bridge and would have been taken from what is now the middle of the A66. 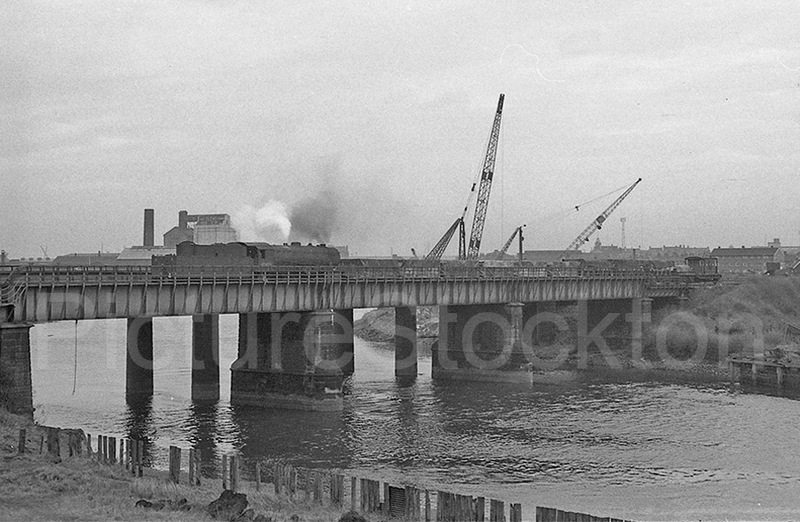 In the photograph of the diesel hauled freight the Victoria Bridge is visible in the background. In the other photograph a large building is visible near the Victoria Bridge; was this a flour mill? Perhaps some of your readers might be able to tell me. For those with a railway interest the locomotives are a class 25 D5181 and the steam loco is a WD no.90470 both taken on 5th March 1966. Photographs and details courtesy of Garth McLean. Ces Crinnion on Port Clarence Road, Haverton Hill. Ces Crinnion on Where in Haverton Hill was the Bowling Green? Lynn Baker on Where in Haverton Hill was the Bowling Green? Tony Garrett on Where in Haverton Hill was the Bowling Green? maureen on Where in Haverton Hill was the Bowling Green? Alex Hall on Where in Haverton Hill was the Bowling Green? Lynn Baker (Dallison) on Where in Haverton Hill was the Bowling Green? Where in Haverton Hill was the Bowling Green?